Studying conditions favourable to the students’ success. Involved in a dynamic of perpetual improvement of its offer, the University of Corsica has had the students answer feedback questionnaires on teaching quality. It has also established improvement councils with professionals. Training supervision is one of the best in France, allying proximity and multidisciplinarity to success and excellence. It has the necessary infrastructure and equipment to support its ambition. The University of Corsica owns a built heritage of quality which covers 50 000m² mainly located in Corte but also in the Bastia and Ajaccio regions and in Cargese. In Corte, the two main campuses (Mariani and Grimaldi) and research buildings are nested downtown. Substantial building constructions have been done these last years, among which the total renovation of the Faculty of Literature, Languages, Arts, Human Sciences, the creation of a new university library of 4 500m² and the redevelopment of external environments, now real lively public spaces. In Ajaccio and Biguglia (near Bastia), the research platforms MYRTE, PAGLIA ORBA and STELLA MARE are also experimental and learning sites for students. On the outside, the Mariani campus offers a green space of more than 1000m² composed of Mediterranean essences: lavender, olive trees, myrtle, etc. On this photo, the “green lung” stands in the heart of the campus. 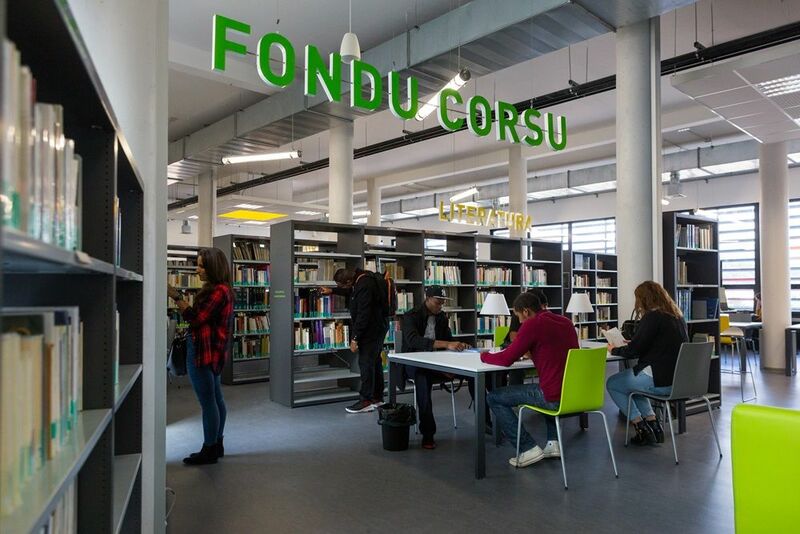 With its 4500m², the University library, which was inaugurated in 2016, offers more than 380 seats. The 120 000 documents of all types it hosts are distributed in various thematic spaces to allow an easier access. It also has a work group class and free access computers, available within the documentary spaces. Numerous electric plugs, generalised University Wi-Fi access, little safe-deposit boxes, sofas… everything has been thought for utmost work comfort. The advanced technology equipment the University of Corsica regularly gets allows the students to complete the theoretical teaching by the use of professional tools. Knowledge and savoir-faire are more than ever combined. As an example, we can cite the students in the Master Internet and Information Systems (S2I) who work with Nao. This humanoid robot of 58 centimetres high (able to move and talk), allows them to get trained to program writing and to artificial intelligence methods in order to teach Nao new ways to interact with an adult or a child, for education for example. Another example is that of the Arts students, who can use the University Fab Lab to go beyond the limits of their imagination. 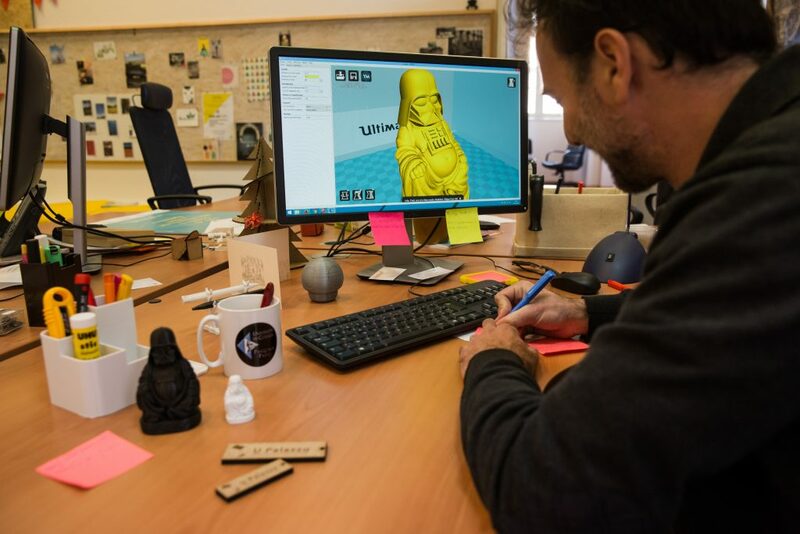 A 3D printer, a numerical embroidery machine, a cutting plotter machine, a CNC milling machine are as many tools which can give them the opportunity to conceive unique pieces and allow them to get trained to the use of advanced technology equipment and software. Since 2011, the students in Biology Genie have made their own apple juice! 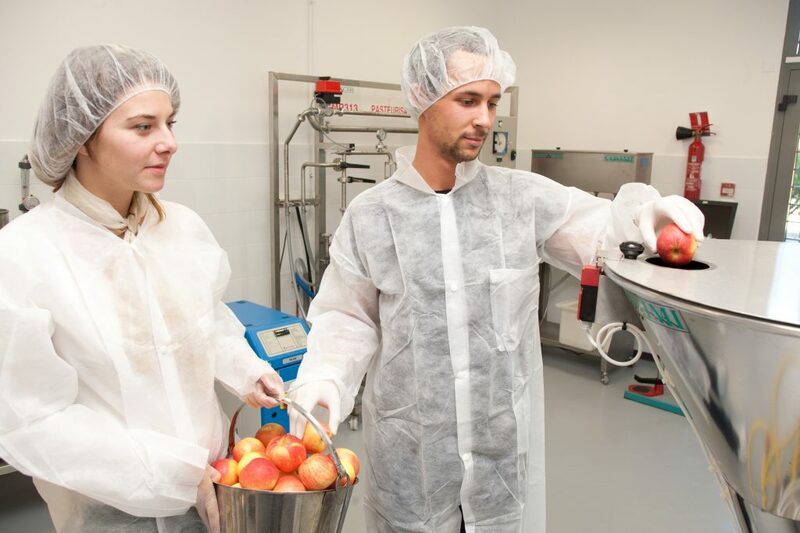 The programme has a complete line of fruit juice manufacturing in its food-processing laboratory. The students thus assimilate in a concrete way the operation and the control of the installations used in the field of food industries in a context of hygiene and quality. Conferences and practical workshops on digital technology and innovation for pedagogy are regularly offered to teachers of the University of Corsica via the “e-s@pè” collective reflection project. These meetings give rise to experiments in teaching by project or in reverse pedagogy. Faced with the evolution of digital technology, the overall ambition of this project is definitely to promote the development of tomorrow’s pedagogy in universities. The University of Corsica also has an efficient on-line course platform that allows to extend the “face-to-face” courses. Whenever they want, students can find course materials, corrected past exams, a bibliography / webography, etc. They can also self-evaluate with exercises proposed by their professors and exchange more easily with them and other students outside the classroom. Created in 2012, this platform is a great success: more than 2,200 courses have been created and 70% of the students get connected every year! 84% of Master’s graduates have a job ! A Professional Orientation and Insertion Platform accompagne les étudiants dans leur future insertion professionnelle. Passists the students in their future professional integration. Among the measures taken: a close partnership with 20 island companies, a job scholarship and internships with more than 500 offers a year, personalized advice (cv, cover letter) and digital tools enabling the students to highlight the skills they acquired during the courses and their internships. Job Campus, an exhibition dedicated to the meeting between island companies and students, is also organised every year to promote the sharing of experiences and open on recruitment. Student entrepreneurship is also a strong line of the University of Corsica. 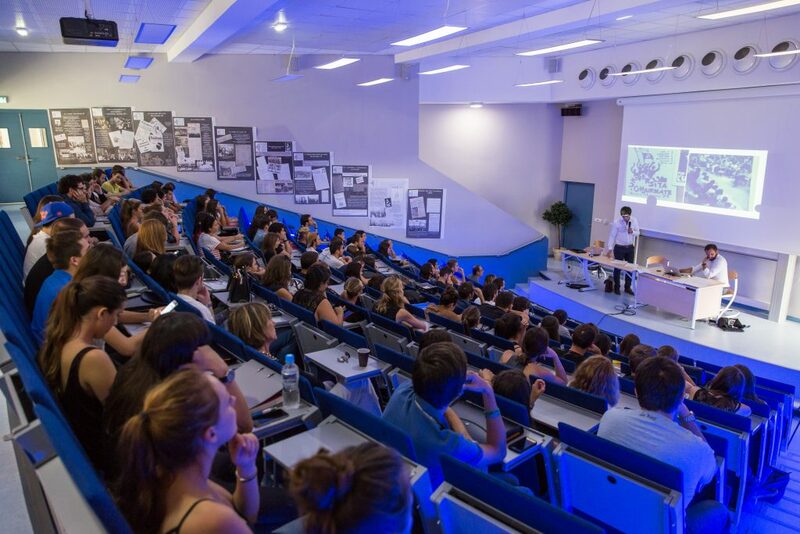 Very active within the Corsican Pépite Centre (Student Centre for Innovation Transfer and Entrepreneurship), the University has multiplied students / entrepreneurs meeting moments and challenges. Every year it offers a student the entrepreneurship “Premiu” prize, and dedicated courses. Among its workforce, some “Student-entrepreneurs” benefit from specific studying conditions to facilitate the development of their project. This interest in student entrepreneurship is not new, the first challenge, “24 hours to innovate”, dates back to 2003! 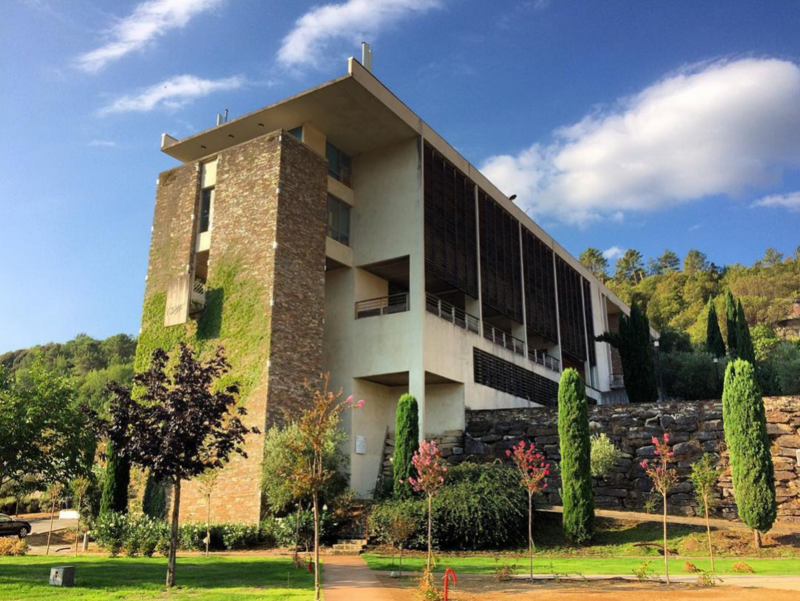 The University of Corsica offers a real proximity between teacher-researchers, administrative staff and students. 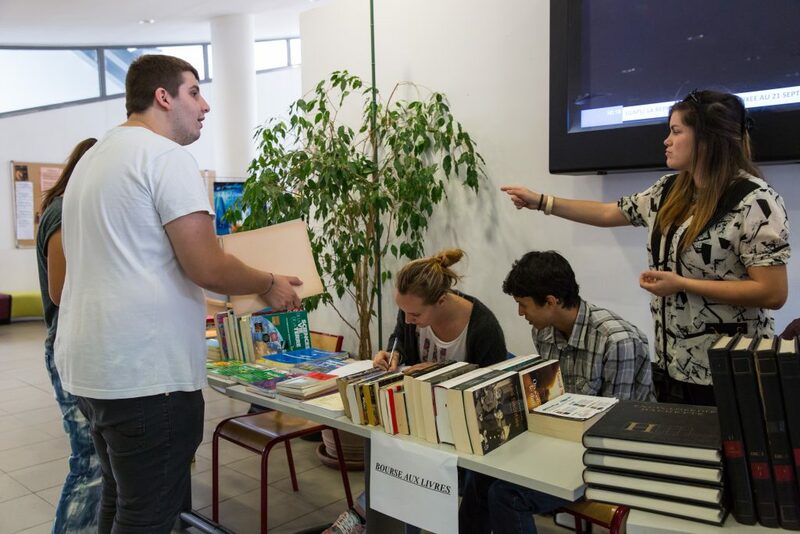 The academic year begins with “Allegria”, an integration week coordinated by the Communication Department. Placed under the sign of exchange and conviviality, these days are the opportunity to discover the University through its sports, cultural and associative activities. An outing is also offered to international students to let them discover their new living environment. The association ESN Corsica, member of the network Erasmus Student Network France, takes part in the move in a very active way. The CROUS of Corsica has nearly 850 rooms, directly located on the 2 Cortenese campuses, or nearby. These rooms or studios are equipped with kitchenette, balcony, Wi-Fi… The campus Mariani university restaurant has been totally renovated and rethought. More welcoming, it offers, beyond the traditional meal, a snack area, a grill area and a buffet of starters.